Have You Ever Experienced These Problems As A Result Of Power Tripping? 90% of the power tripping was due false alarm such as inconsistent spike in power line. Sometimes, the consequences can be a big hassle. 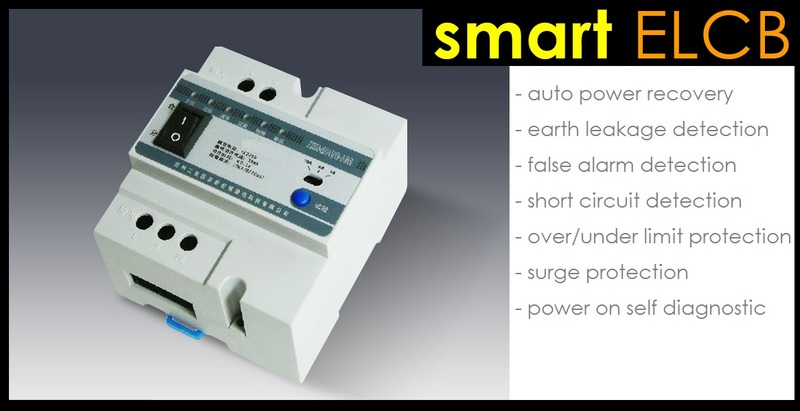 Smart ELCB or also known as auto-reclosing device, installed to the side of the residual current circuit breakers (RCCB) or earth leakage circuit breaker (ELCB), automatically performs three reclosing attempts in the event of a fault. If the result of the three reclosing attempts is negative, the device enters a locked state, signalling the failure of the resetting attempt via the 1NO+1NC signal and via the LED on the front of the device.